The American Cancer Society predicted that 266,120 women would be diagnosed with breast cancer in 2018. Women experience significant symptom burden in response to tumor and treatment-related adverse effects, particularly in advanced disease. Use of valid and reliable patient-reported outcomes (PRO) symptom measures may assist clinicians in systematically monitoring and managing symptoms. The MD Anderson Symptom Inventory (MDASI) is a brief PRO measure of cancer symptom burden; specific symptoms can be added to the core symptoms to produce disease- and treatment-specific modules. 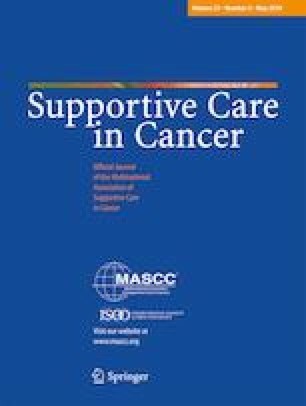 The purpose of this study was to describe the patient symptom experience, define the content domain, and generate items for a breast cancer-specific MDASI module for measuring symptom burden in women with breast cancer. Women with breast cancer were qualitatively interviewed about their experiences of disease and treatment. Descriptive exploratory analysis identified symptoms and symptom interference to define the symptom burden of breast cancer. An expert panel rated the relevance of the identified symptoms to patients with breast cancer. A conceptual model of breast cancer symptom burden was developed from interviews with 36 women (mean age of 57.9 years, 86.1% had stages I–III, and 52.8% were on chemotherapy and/or radiation therapy) across the breast cancer disease and treatment trajectory. Thirty-six symptoms and 6 interference categories were identified. Symptoms specific to treatment modalities and breast cancer met the criteria for inclusion in the provisional instrument for psychometric testing. We generated an instrument with content validity for measuring symptom burden specific to women with breast cancer. Jeanie F. Woodruff, BS, ELS provided editorial support. The study was sponsored by funding from the Houston Chapter of the Oncology Nursing Society, the Zeta Pi Chapter of Sigma Theta Tau International Honor Society of Nursing, and the Hawn Foundation Fund for Education Programs in Pain and Symptom Research. The study was approved by the MD Anderson Institutional Review Board, and all participants provided written informed consent.